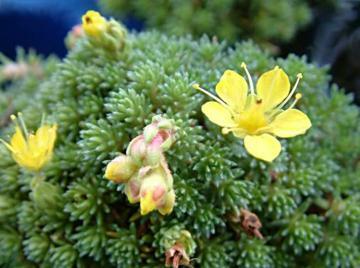 Small cushion-forming alpine with tight rosettes of grey-green leaves. Small yellow flowers in early spring. UK cultivar, of about 1911.